With six galleries in downtown Monroe and one in downtown West Monroe, there’s lots of variety in art and other offerings at the upcoming crawl on Thursday, August 6 from 5-9 pm. And variety is the spice of life for the whole family! 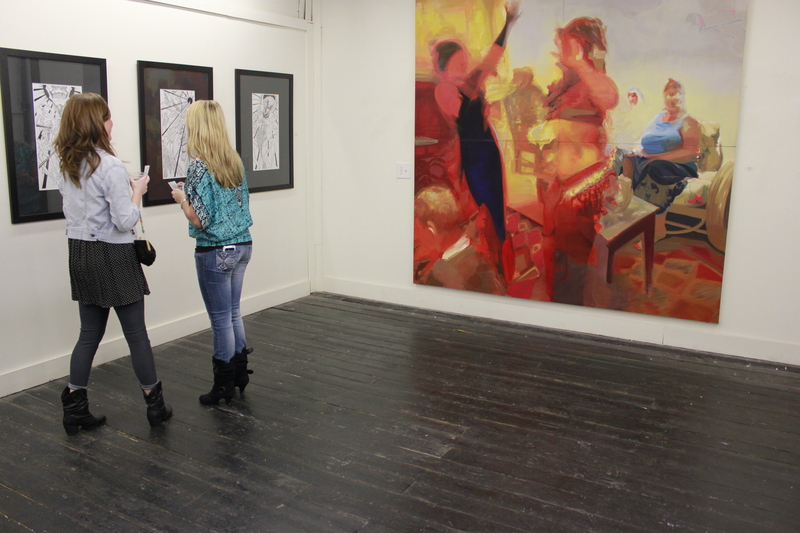 Many of the galleries provide refreshments and live music, along with artists’ talks. Resident and guest artists are always on hand to talk with patrons about their art. Guests simply enjoy visiting with their friends (and meeting new friends) at this joyful occasion. South Grand Street, just south of the River Market, is the location of Monroe’s newest gallery—The Garrett House at 520 South Grand. Curated by ULM art professor Brooke Foy, this beautiful, historic building will host photographer Danita Bright. She is a Katrina survivor, and she will be showing photography for the ten-year Katrina anniversary. Bright was born and lived in New Orleans until August 29, 2005, the day that Hurricane Katrina destroyed the homes and lives of so many. She does not claim to be a professional artist, but she has a passion for expression and a desire to share her story in a way that captures more than just information. In “10 Years and Still Healing–KATRINA” the Garrett House will be showcasing the viewpoint of one survivor. 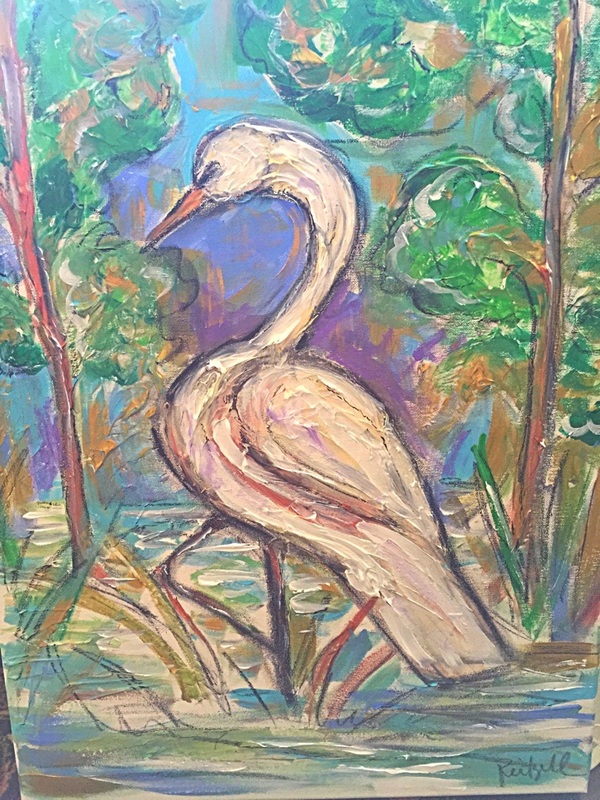 During the August 6 Gallery Crawl, the River Gallery (Ouachita River Art Gallery at 308 Trenton Street in West Monroe) will end its month of celebrating twenty-five years of operation as Louisiana’s oldest artist co-op. The 26 artist-members will feature a memorabilia wall with photos and news stories from the past 25 years. Each artist will show a painting created just for the occasion using “silver” or “25” as the theme of the artwork. There will be special food and live music from local favorite John Farmer. Then for the rest of the month of August, Joyce Beauvais’ work will be featured. She has been a member of the River Gallery co-op since 2012. Her paintings, both oil and watercolor, feature churches, landscapes, a river baptism, a cross with flowers, and a Saturday night of fun before Sunday Services. Arender Studio on Art Alley in Monroe (North 2nd Street just off DeSiard Street), along with several other art galleries in that cluster, will be presenting a variety of original art. The show at Arender this month features Dallas artist Gaeb Cardinale, who graduated with an MFA in film production from ULM more than ten years ago. He creates print, paint and mixed media artworks, often blurring the lines between digital and traditional execution while wearing the title NEUE ART DIRECTION. Cardinale’s latest series, MAYA, uses layers of iridescent pigments to redirect both light and the viewer’s attention in a playful game, concealing breathtaking photography of rural waterways and remote woodland scenes. His artist talk will be at 6:30 pm. 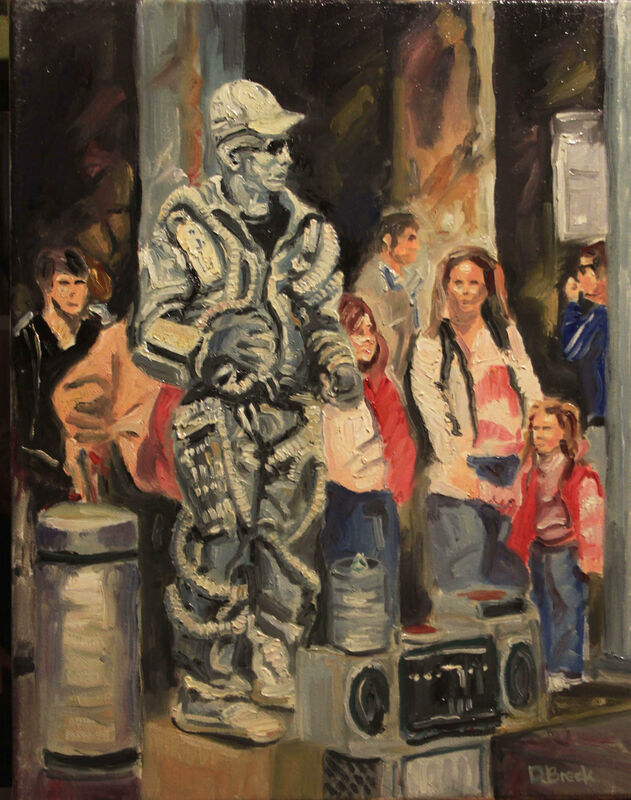 The Palace Gallery will present ULM’s own Gary Ratcliff. Ratcliff’s work could be described as “surfaces and lines” in his attempt to portray the natural unity found all around us. He’s always been interested and attracted to color, texture and form in nature. In nature’s beauty, form and function are in perfect unity. Gary creates objects reflecting the qualities found in nature. 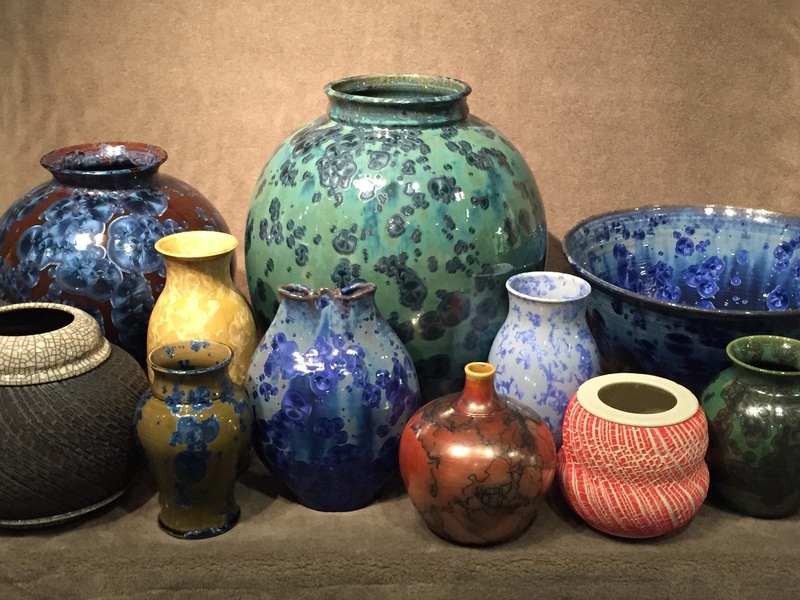 The show will be comprised primarily of ceramic forms with a few “paintings”–fractured images. To see Gary in action in advance, check out this TEDx presentation featuring Ratcliff. Stacy Medaries will exhibit works sculpted from aluminum and colored with alcohol ink. Her images vary in theme from works inspired by the medieval period and art history to fun, funky, colorful faces. 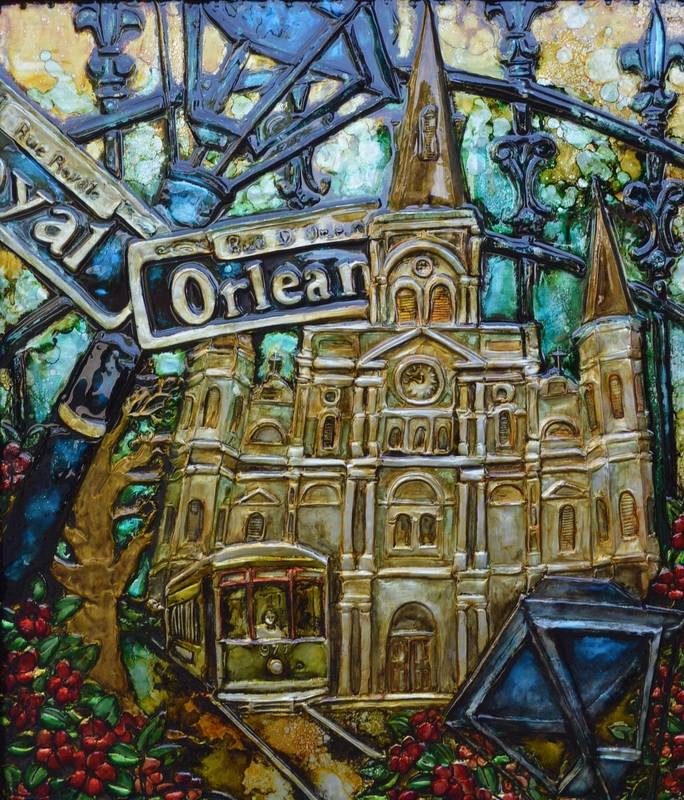 Melanie Douthit will show various pieces from her New Orleans and coastal series in acrylic, mixed media and watercolor. Mary Thompson (oils), William Holley (photography) and Burg Ransom (nature photography) will round out the group of exhibitors. 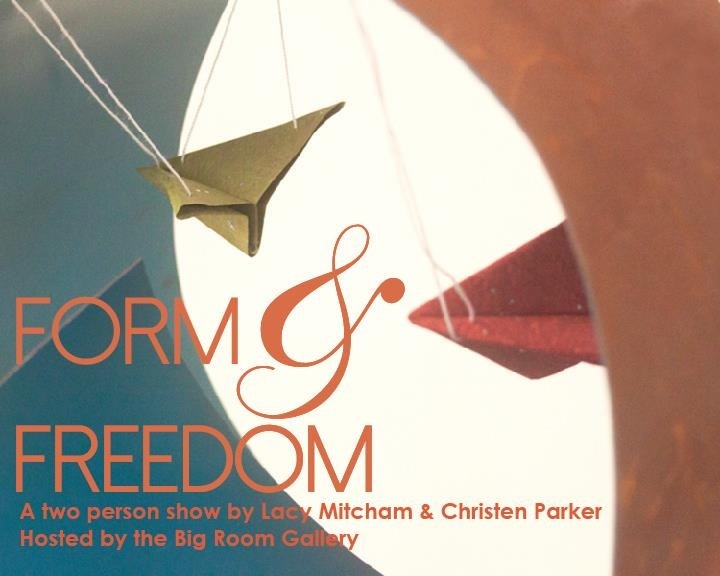 The Big Room Gallery on Art Alley will be hosting a two-person show called “Form and Freedom,” with crowd favorites Lacy Mitcham and Christen Parker in a going-away presentation. Amy Ouchley will join them to exhibit her nature-inspired jewelry. At the UPSTAIRS Gallery, next door, the “featured artist” is actually a trio presenting a show titled “the out-of-towners,” curated by now-local artist Anna Schriefer. Jennifer Dove Cooper, creator of Dovetail Purses, earned her MFA in printmaking from California College of the Arts. Born in New Orleans, she was displaced by Katrina and ended up in Alexandria. 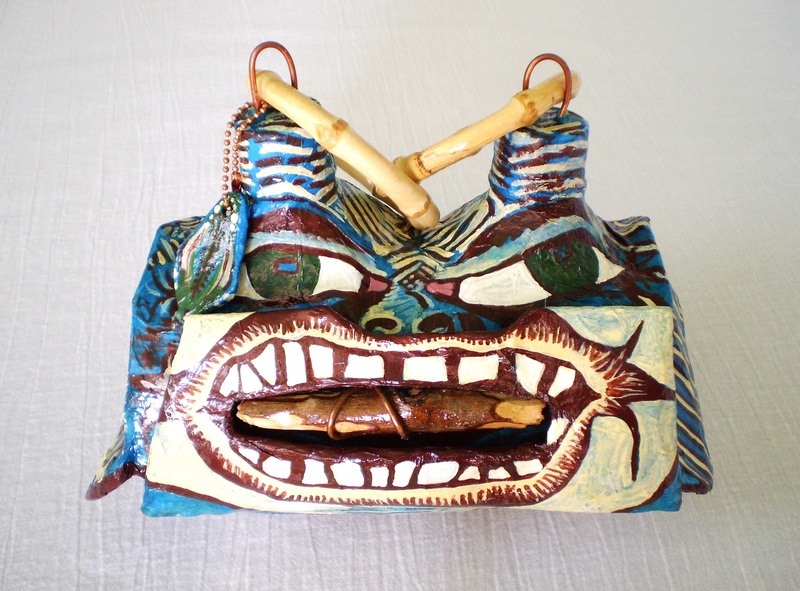 She constructs and paints Dovetail Purses by hand, noting that “no two are alike, even if I try!” Each hard-bodied, papier maché purse is made of recycled materials such as plastic milk jugs, linen clothing scraps, wire and sticks—but none of the materials is recognizable for its original purpose by the time Cooper is finished. Each is numbered and takes two weeks to make. The purses’ themes are sometimes dark, sometimes playful, and their beauty will be highlighted in this show when, at 7 pm, they will be modeled by young, local models (led by Tyra George, owner of EyeIVStyle—“where fashion, ART and confidence collide”) wearing similarly repurposed clothing. 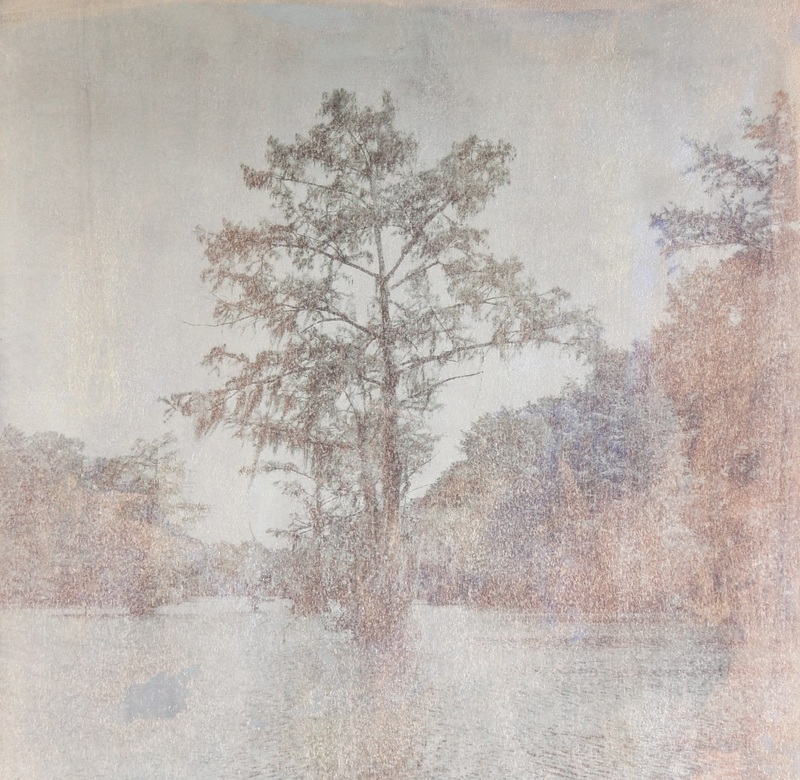 The second of the trio, Jaimie Heiges, received her BFA in photography from the University of Louisiana at Lafayette. Photography is the foundation of her art used first as a reference to a painting or drawing. Then exchanges occur with other processes to show the many ways that one image can evolve into multiple other images. 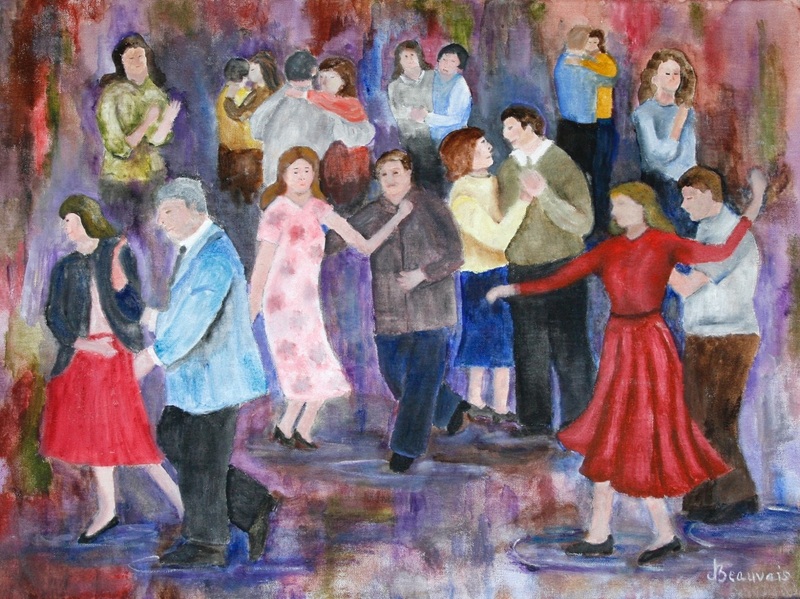 Finally, Rajko Radovanovic, born in Valjevo, Yugoslavia, and now living and working in New Orleans, has had over 150 exhibitions in Europe and the USA. 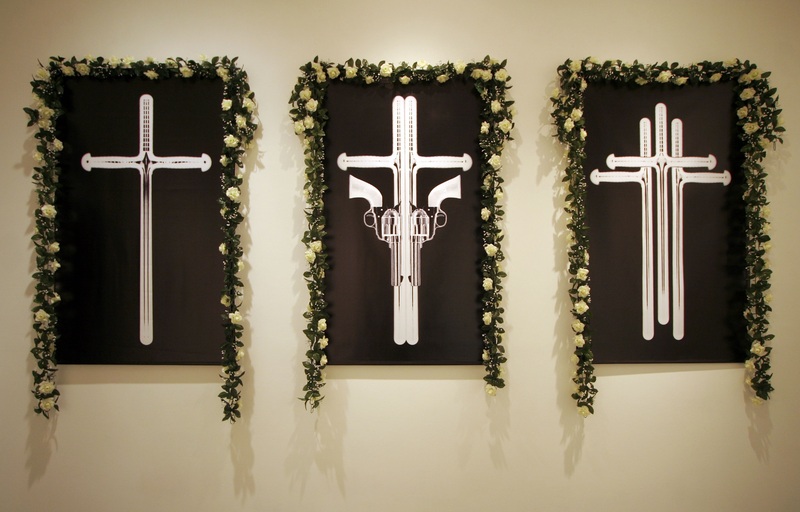 Having studied art in Zagreb, Croatia, and Brighton, UK, where he earned a BA in fine arts, he will present an exhibit called “Angry American Artist (a Study towards Great Anger).” This is an ongoing body of work that questions the nature of authority, using common objects of repression and violence—the police baton and gun—deconstructed and repurposed as decorative wall-hung objects of faith rather than examination. For more information about the Downtown Gallery Crawl, visit www.downtowngallerycrawl.com. Information and photos for this post provided by the Downtown Arts Alliance.